Copyright: © 2013 Shin-ichi Yusa. This is an open-access article distributed under the terms of the Creative Commons Attribution License, which permits unrestricted use, distribution, and reproduction in any medium, provided the original author and source are credited. I feel much honored to have been appointed as the new editorial board member of Journal of Materials Science and Nanotechnology. This is the 1st year of Journal of Materials Science and Nanotechnology. I am pleased to see that the new innovative advances have seen materials science and nanotechnology gaining further recognition within the international materials science and nanotechnology community. 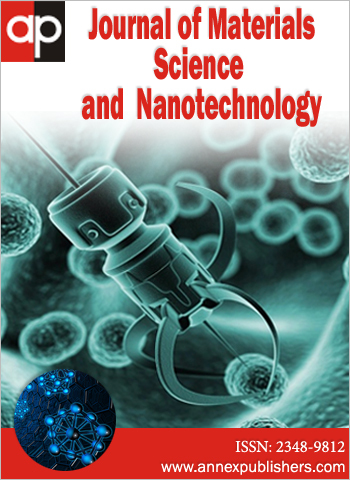 It is now an indispensable journal to researchers in materials science and nanotechnology. Over time, research in materials science and nanotechnology has increased remarkably in both volume and complexity, especially in the past two decades, and many journals have been faced with a rapidly rising number of papers from many contributors. All editorial board members are in strong support of the desire for Journal of Materials Science and Nanotechnology to further increase its importance as a leading journal in materials science and nanotechnology, and related fields such as biology, optoelectronics, and technology. Finally, I would like to thank all the authors, readers, referees and subscribers for their continued support of the journal. Allow me to take this opportunity to invite submission of your next high-quality paper for publication in Journal of Materials Science and Nanotechnology, as we move together to advance the field of the materials science and nanotechnology. Towards brighter futures for the Journal of Materials Science and Nanotechnology. Shin-ichi Yusa, Editorial board member.